Izmir University of Economics (IUE) Faculty of Fine Arts and Design redesigned Güngören Street in Narlıdere. 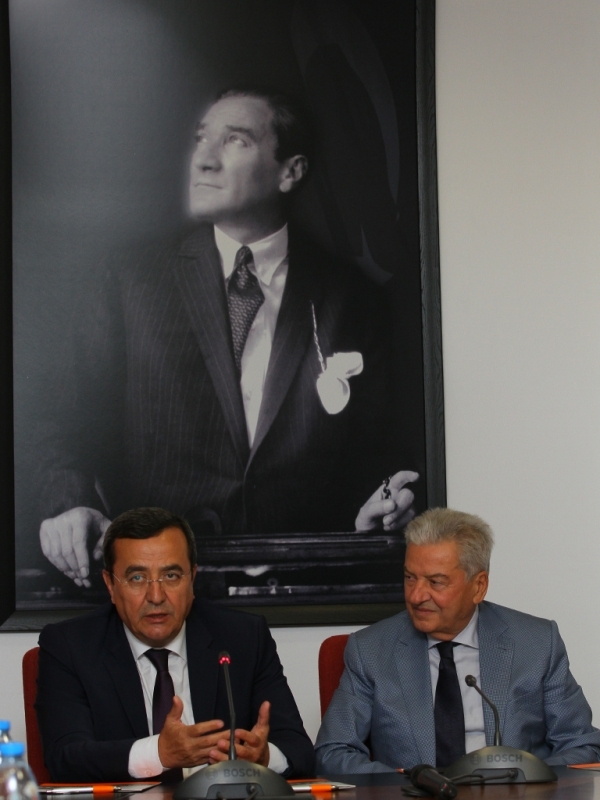 The project, after a yearlong study, was introduced by Ekrem Demirtaş, President of IUE Board of Trustees, Abdül Batur, Mayor of Narlıdere, and Prof. Dr. Can Muğan, Rector of IUE, at a meeting held at the Board of Trustees Meeting Hall. Güngören Street will go through series of renovations including signboards, exterior painting, curbs, lighting, and green areas. 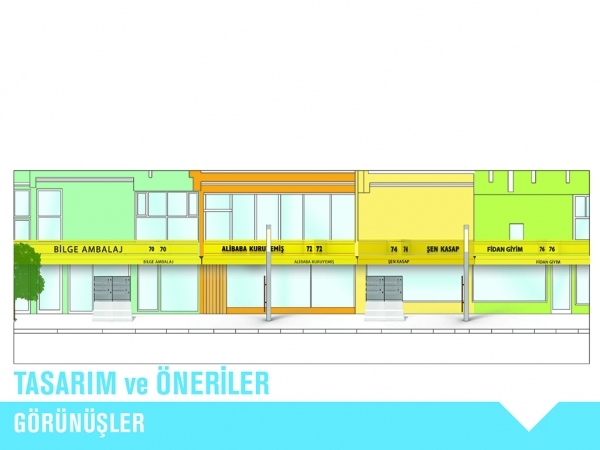 Narlıdere Municipality will put a building project out to tender in the beginning of 2017. President Ekrem Demirtaş stated that they would be carrying the first collaboration with Narlıdere Municipality into effect, and that the proposal came from the Municipality itself. “The Street in question is located right behind Mithatpaşa Street, and it intersects with it. 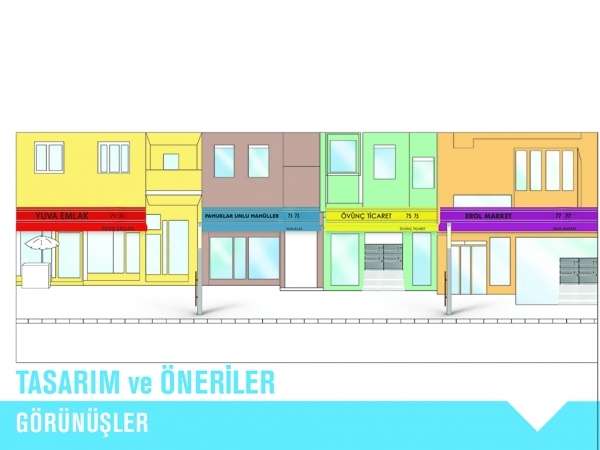 Güngören Street Rehabilitation Project was offered to us. And we proudly agreed to it. 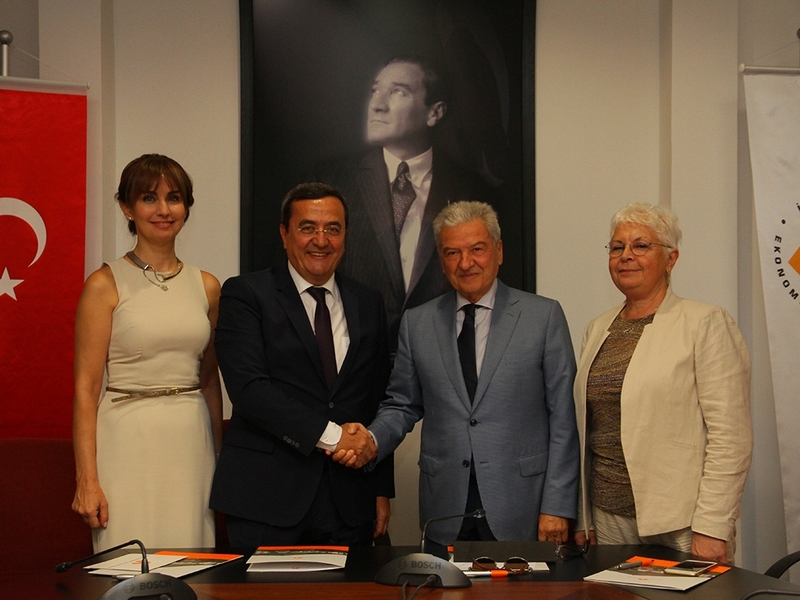 You are witnessing local administration-university collaboration. We offer the best quality education to our students. We are also serving the community,” said Demirtaş. What is Güngören Street Project?
. Pedestrian safety will be given priority.
. Accessible walkways will be built.
. Vehicle traffic and parking will be organized.
. Wooden outdoor furniture will be used.
. Signboards will be redesigned to look less complicated and crowded.
. Exterior walls will be painted with matching pastel colors.
. Signboards, awnings will have similar designs and fonts.
. Granite will be used in the street to get a lively look.
. Outdoor furniture will include two way wooden benches.
. Benches will include flower beds and lighting.
. A green area with lighting will be designed for the entry and exit of the street.
. 1.2 meter space will be left for stores in pedestrian area.